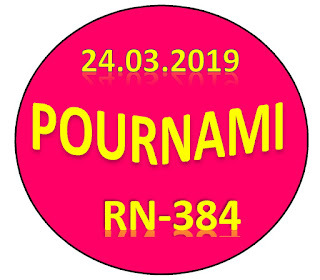 Kerala lottery guessing / predictions for POURNAMI RN-384 dated 24.03.2019 is published below.These guessing number are just our and our visitors predictions. This is only a speculative game for fun and to increase the curiosity on the draw. 3/23/2019 22:23:41 RAJASEKAR PUDUKKOTTAI.METTUPPATTI 072.079.372.375.378.379.672.107.167.267.607.375. 3/24/2019 1:20:27 afm chennai allboard.3.4.5......759.345. 3/24/2019 9:36:06 Mani Thanjavur 891.896.894. 3/24/2019 11:11:21 E.kanagaraj Tuticorin 399. 171. 3/24/2019 11:16:22 மாரிமுத்து செல்லூர் 138.392. ALL BOARD: 2 - 1 - 0. All Board 2. 5. 8. 587, 577, 597, 687, 677, 697, 487, 477, 497. 280, 285, 240, 245, 380, 385, 340, 345.